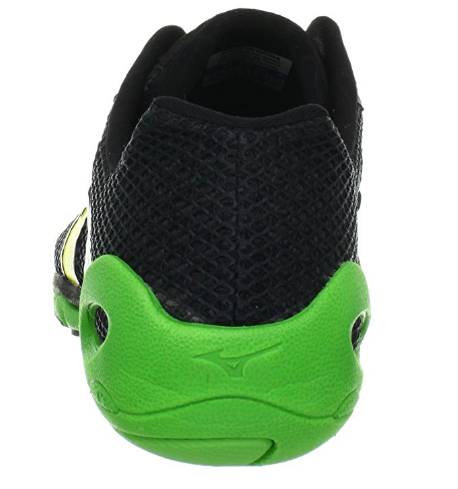 Its about time Mizuno designed a better barefoot shoe than the Wave Universe. I am delighted that Mizuno added the EVO Letivas to their minimalist running shoe line, and so I would like to go over what wear-testers think about this shoe. The Mizuno Evo Levitas are Mizuno’s ‘barefoot’ marathon shoe, thus the outsole of the shoe is built with impressive durability for running long distances on the roads. Despite the outsole durability, you can be assured that you will get good ground-feel in the EVO Levitas as the outsole thinness does stream-line good sensory input at the feet, which plays a central role in building better forefoot running biomechanics. 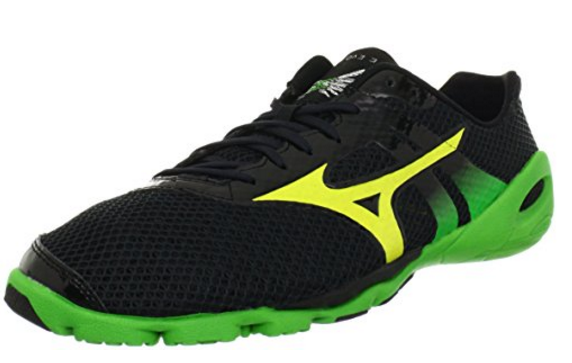 Therefore, if you are a heel strike runner who wants to switch to forefoot running, but if you do not want to go barefoot, the Mizuno Evo Levtias lets you harness sensory input to use it as a strategic task to help you turn your heel strike into a forefoot strike. That is the principal behind Mizuno’s focus in designing the EVO Levitas: the zero-drop, minimalist nature of the shoe is really tailored for forefoot runners. The outsole is very dynamic: it’s thin (8 mm), it provides a slight smooth cushioned feel, its flexible and also contours well with the natural shape of your foot. 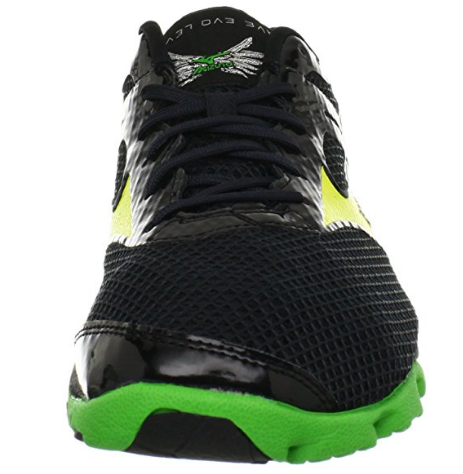 So collectively, these design traits of the shoe are in accordance to the barefoot experience, thereby helping you maintain good forefoot strike focus when you run and at the same time, your feet get stronger because they are engaged effectively with each step. The outsole of the EVO Levita’s is slightly thicker than many Vibram shoes, but isn’t too thick where you can’t feel anything under your feet, but is thin enough to add good sensory dimensions at the feet, which will bolster your global mechanical engagement. Most of the underfoot protection in the EVO Levitas is at the forefoot, which adds more responsiveness to your step when you run –it makes you feel more springy, which is always a good feeling. I must caution that the outsole is not entirely grippy, so the EVO Levitas are more appropriate for running during dry conditions on the roads and other smooth surfaces. The upper is very breathable and porous and because of this, there is practically no structure to the upper, making the shoe feel like you are wearing a sock, not a shoe. The porous upper is also why the shoe is super light (the shoe weighs about 6-oz). However, because of the porous upper mesh, the EVO Levita’s are certainly not the most water-resistant- they don’t really keep your feet dry in the rain or damp weather, so again, these shoes will help you perform better in dry, warmer conditions. As for the toe-box, the toe-box of the EVO Levtias is squarish, giving you tons of room for your toes to spread out, which is a great advance for balance. Thus, if you have wide feet, the EVO Levitas are right up your alley. Because of the added durability, the outsole of the EVO Letivas aren’t as softly flexible as most Vibram FiveFingers, Vivobarefoot, or Sockwa minimalist running shoes, but still, the Mizuno EVO Levitas are much more flexible than any traditional running shoe. Shoe flexibility is key because it is a leader when it comes to strengthening the feet. In terms of overall feel, if you like the Brooks Pure Drift, or the New Balance Minimus, you will enjoy the Mizuno Wave EVO Levitas. Overall, the zero-drop construction of the Mizuno EVO Levita’s will strengthen your capacity to run forefooted by helping you forge better connections with the ground, making the connection with the ground more real, but there is a lot more the shoe does: the wide toe box, lack of structure, the lightness factor, the sock-like fit of the EVO levitas, you add all these characteristics together and the EVO Levita’s will help bring about promising developments in your foot/ankle strength and with that comes stronger arches which will help unleash and store more elastic energy more easily than in the traditional running shoe. The EVO Levitas minimalist design results in an environment that is conducive for sustaining adequate, efficient forefoot running mechanics that will give you more demand reduction on your knees, on your hips and lower back and I am confident you will enjoy this unique minimalist shoe. What shoe would you recommend replacing it with now that its discontinued?